Alan Tew’s exciting soundtrack accompanied the series’ action. Centred on a heady concoction of jazzy funk, the music was originally conceived as library music and issued on two very rare Themes International LPs – Drama Suite Part I and Drama Suite Part II. 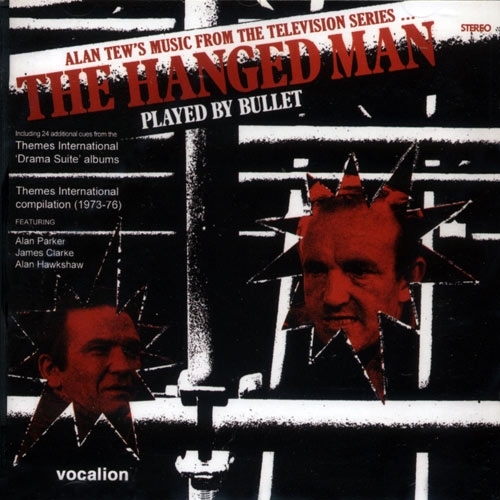 The musicians heard on The Hanged Man score include such legendary names as Alan Hawkshaw (keyboards), Alan Parker (guitars), Barry Morgan (drums), Les Hurdle (bass guitar) and Frank Ricotti (percussion) – truly the cream of Britain’s session musicians. 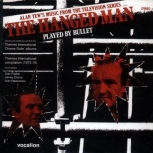 This CD comprises the complete Hanged Man score plus 24 additional cues from the Drama Suite albums that weren’t used in the series, as well as a compilation of some of the best titles in the Themes International catalogue from the pens of James Clarke, Alan Parker and Alan Hawkshaw. 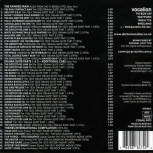 The 8-page booklet includes extensive liner notes, as well as photographs connected to the music and series. 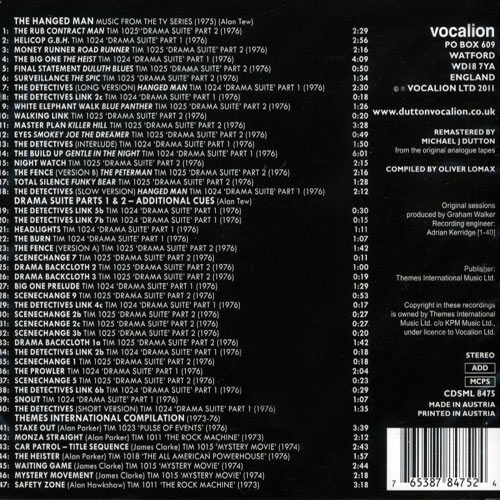 47 tracks in total.